Humanity Healing offers two types of Membership on this website: Basic, or Free, Membership and University Membership. To download any of the Free eBooks that Humanity Healing offers, you must register as a Basic Member. If you are currently a Member and wish to downgrade, please use the Unsubscribe Buttons at the bottom of this page. Access to all public areas of the website, which includes a large amount material. A free subscription to OMTimes Magazine (4X per month) plus special promotions from OMTimes. Subscription to the Humanity Healing University newsletter (4X per month) notifying you of new material and downloads. Note: You may unsubscribe from the newsletters at any time by clicking the Unsubscribe link in the newsletters. Basic Membership in the Humanity Healing Network is free for all and there is a large amount of the material on this site that is available at this level. If you have a Basic Membership and would like to upgrade to the University Membership to take advantage of all the benefits, please make sure you are logged in and click the following button. This will allow you to keep your username and password the same. We are not accepting membership in the University at this time. Please join with a free Basic Membership and we will let you know when this changes. For those seeking a deeper level of understanding, Humanity Healing Network offers a higher level of Membership and additional instruction for the Aspirant. One Attunement every month. HHU will be offering an Attunement every month for University Members. Details will be provided in the weekly newsletter. A new Spiritual Exercise every week to help with your spiritual growth. Details will be provided in the weekly newsletter. Access to the Online Resource Center section of the website. This includes not only all the eBooks produced by Humanity Healing for its eCourses and eClasses, but also a significant spiritual and metaphysical library, including meditations and spiritual exercises that can be downloaded and studied. 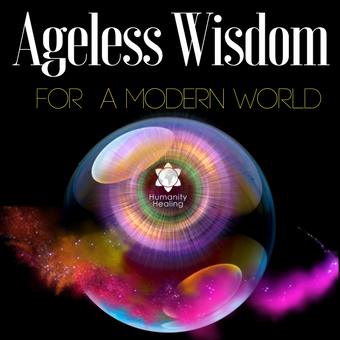 Access to exclusive Members-only videos produced by Humanity Healing as well as special meditation music. Access to Teleconferences for the different eClasses and eCourses. For those who cannot make the teleconferences, recordings are made available. Access to a special email for questions. A significant discount on all Attunements and Energetic Upgrades when they are offered, including the Stellar Code™ Matrix Mastery Program, Ancestral Healing, Axis Coeli/Axis Mundi Axitonal Alignments and the Stellium Attunement. A free subscription to OM Times Magazine (4X per month). University Membership is $10.00 USD per month or $100.00 USD per year. To Register for University membership, click on the preferred Paypal or Google Checkout Button below. You can stop your membership at any time. When you sign up, you create a monthly Paypal or Google Checkout automatic payment. To cancel, you have two options. Use the Unsubscribe Button below. Log into your Paypal or Google Checkout account and delete the Payment Profile. Either method, this will send a message to our membership software and once 31 days (or 1 year if you chose that option) pass from your last payment, your account will be automatically downgraded to the Basic Membership. Note: Due to the fact that the information in the University section of the website is downloadable, except for extraordinary circumstances, there are no refunds for Membership in the University. Refunds are given for Attunements and other procedures prior to their occurrence.